Summer is a great time for bold vibrant colors! 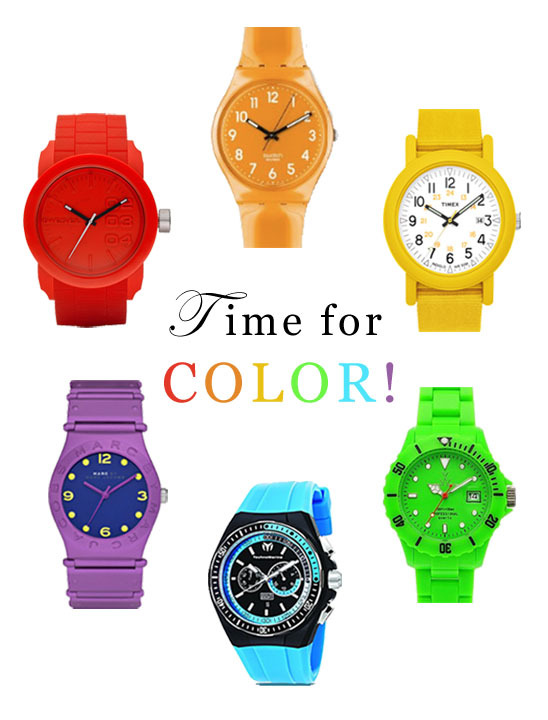 We really like the multitude of colors being used in watches this season. They are a great way to add color to any outfit. So switch out your everyday watch with a fun and flashy one! The brighter, the better!